Enjoy a range of recreational amenities, including a complimentary water park, an indoor pool, and a spa tub. Additional amenities at this hotel include complimentary wireless Internet access, concierge services, and an arcade/game room. 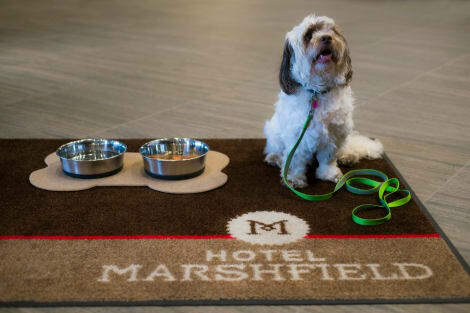 When you stay at Hotel Marshfield, BW Premier Collection in Marshfield, you'll be in the business district, within a 5-minute drive of World's Largest Round Barn and Wildwood Park and Zoo. This hotel is 2.7 mi (4.4 km) from Marshfield Medical Center and 3.2 mi (5.1 km) from Braem Park.